What does it cost to help a homeless mentally ill Canadian? It costs, on average, $50,000 per person per year to support a person with mental illness and nowhere to live in Canada's three biggest cities, according to new research from McGill University. CBC has learned a homeless man interviewed for this story is wanted for alleged fraud in P.E.I. The cost of providing services to homeless people with mental illness in Canada is so high that a team of researchers from across Canada is suggesting policymakers look at alternatives, since current programs are not doing enough to end homelessness. The team, led by McGill University health economist Eric Latimer, found that on average, it costs more than $50,000 per person per year to offer services in Canada's three biggest cities: Toronto, Montreal and Vancouver. The study also looked at Winnipeg and Moncton. The study was published last week by CMAJ Open, the Canadian Medical Association's online, open-access journal. The researchers tallied the costs of services such as supportive housing, treatment for substance use, emergency department visits, ambulance trips, hospital admissions, police and court appearances, social assistance and disability benefits, and incarceration. "What it tells us is, there's a lot of money that is being contributed to the cause of homelessness," Matthew Pearce, the president and CEO of the Old Brewery Mission in Montreal, told CBC News. "That's a lot of money per individual." "We should expect significant impact for that kind of an investment, and we're not seeing that," Pearce said. "I don't think we're seeing declines in the number of homeless people. I don't think we're finding significant increases, generally speaking, in the quality of services to homeless people." Researchers looked at 953 people who participated in the study as part of the At Home/Chez Soi project between October 2009 and June 2011. Costs varied significantly between cities. Costs for supportive housing were especially high in Montreal, while costs for police and court appearances were much higher in Toronto than in Montreal or Vancouver. Researchers did not include the costs of medication due to the difficulty of obtaining provincial health data, but they estimated that, based on Quebec figures, medication would add an average of $3,000 per person to the total. 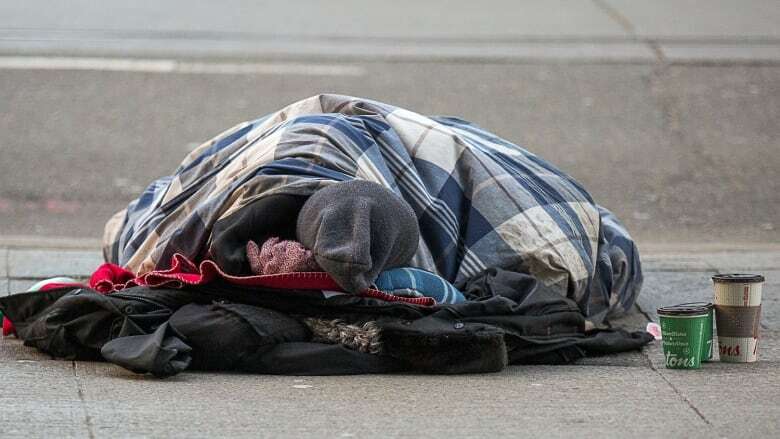 The researchers say there's limited information available on the cost of homelessness in Canada, and with more 235,000 Canadians finding themselves without a place to live over the course of a year, that's a shortcoming. The findings suggest the "need for a comprehensive response" to the problem, they say — and the importance of preventing vulnerable people from finding themselves in that situation in the first place. "In some ways, homelessness is not the problem. It's a symptom of a problem," Pearce said. "It's a symptom of inadequate services for people with mental illness. It's a symptom of inadequate options for affordable housing for individuals." Kevin Hutcheson, who has struggled with mental illness, found himself homeless earlier this year after paying out of pocket for cancer medication. He wants to see more housing for low-income homeless people. "That is one of the things that I would like to see changed, is more landlords, more rental agents willing to take a chance on someone who may be coming from the mission or from somebody who may be homeless," he said. "We just want a place we can go home [to] at night." After this story was published, CBC News learned that the homeless man interviewed at the Old Brewery Mission has an outstanding arrest warrant in P.E.I. He was subsequently interviewed about the allegations against him and has since left the Montreal shelter.